A 1-year-old is dead after a fire at a Brooklyn high-rise Wednesday morning. BROWNSVILLE, Brooklyn (WABC) -- Investigators say the fire that killed a 1-year-old boy in Brooklyn was accidental, caused by faulty electrical wiring in the kitchen refrigerator. 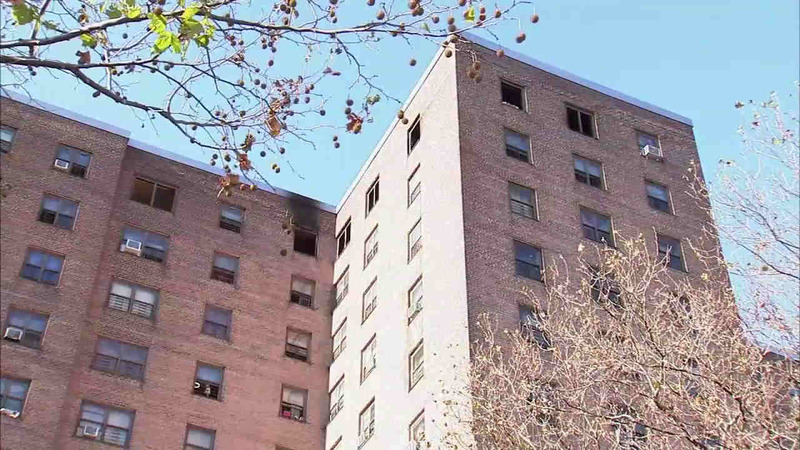 The fire broke out at around 8:30 a.m. Wednesday in a 13th floor kitchen at the Howard Houses, a NYCHA high-rise complex on Mother Gaston Blvd. in Brownsville. The boy, identified as Ivan Baez, was pronounced dead at Kings County Hospital. Six other people in the apartment were injured, two of them critically.